Do you speak a language other than English as your first language? Would you like to know more about the services and programs the Farmington Community Library offers just for you and for other ESL learners? If so, we would like to meet you! 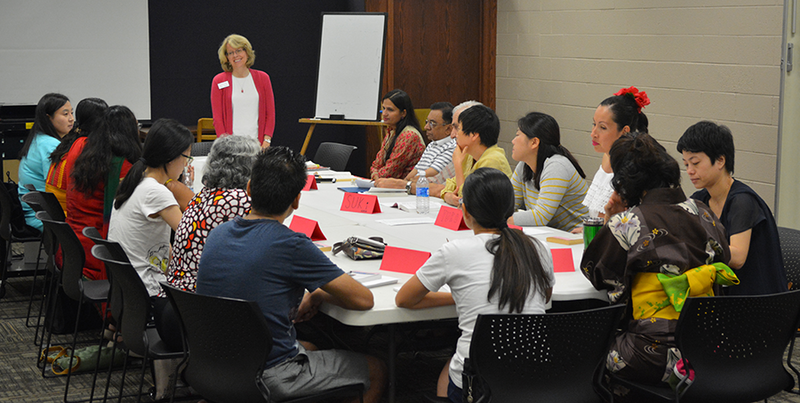 Deb Hemmye and Jill O’Hara, our International Collection librarians, are available to meet with your group, at your location, to provide an overview of the Farmington Community Library’s materials and services for ESL learners. We’ll talk about how to get a free library card, how the library can help you learn English, the ESL groups and programs the library has to offer, and much more. To schedule a visit, please call 248-553-0300, ext 217 or ext. 343 or email gro.bilmraf@eymmeh.bed or gro.bilmraf@arah’o.llij. Click here to browse other ESL programs and services available through the Farmington Community Library.